Hi there, welcome to Mrs. Lincoln's Inkin'!!! 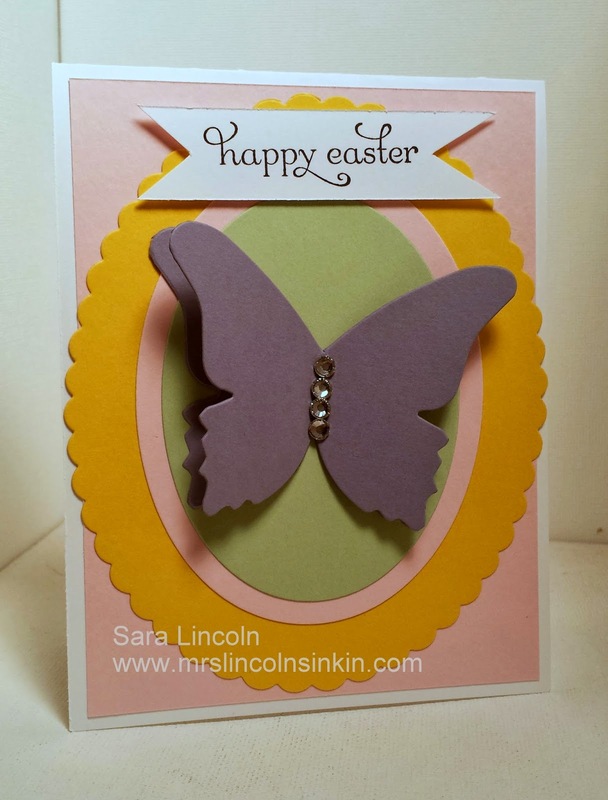 My card measures average size of 4 1/4" x 5 1/2" and uses many colors that remind me of Spring. My base is Whisper White, my second color is Pink Pirouette and then for my Ovals i used Daffodil Delight, Pink Pirouette again and then Pistachio Pudding. 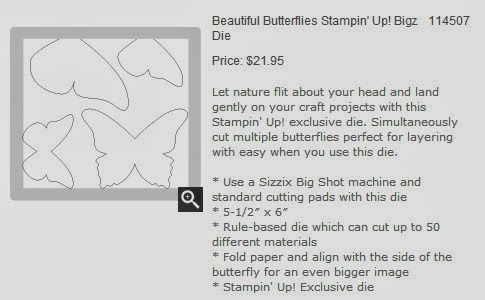 I wanted my vocal point to be something Springy so i chose a butterfly which i made using the Beautiful Butterfly Die. 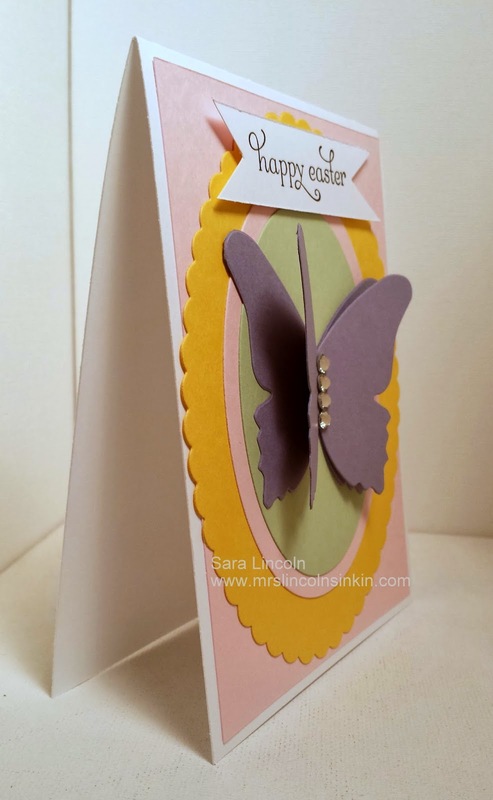 I cut 2 out adhering the bottom one to the base and then taking the second one and putting Glue Dots in the middle and then puffed it up so of course... my card could have dimension. I don't know why i am obsessed with Glue Dots and Dimensionals.